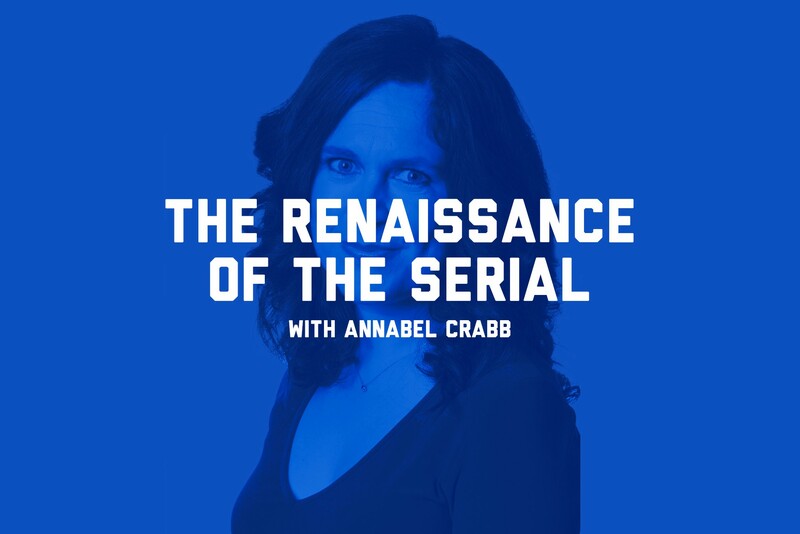 Political Writer, Broadcaster, Author, Podcaster,Tweeter and all round media extraordinaire Annabel Crabb chatted with Deepend about the worldwide phenomenon Serial and what it could mean for the future of media. Jennifer Tucker: In recent times, publishers have been forced to embrace technology and be innovative in order to stay relevant. And yet one of the biggest success stories of 2014 is Serial — which uses one of the most basic forms of technology, the podcast, to reach people. 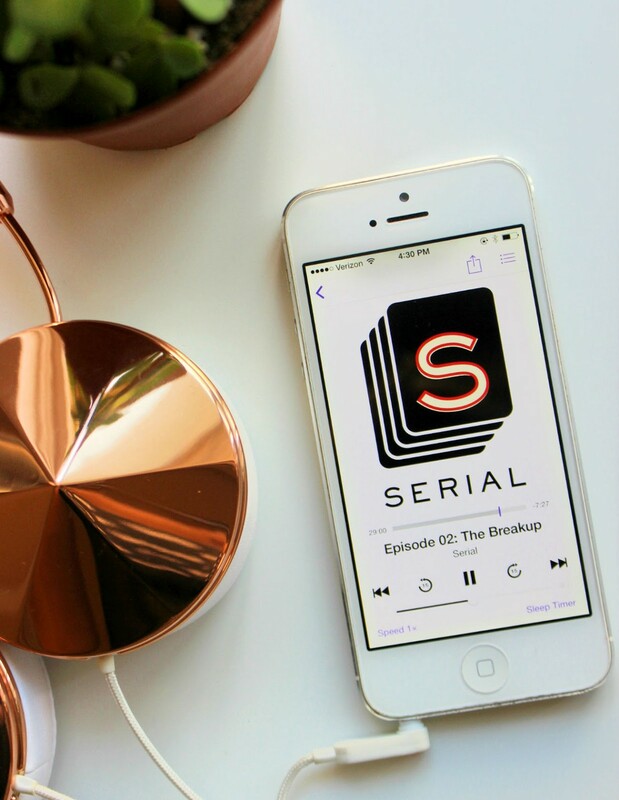 Why do you think Serial has captured the hearts and minds of so many people around the world? 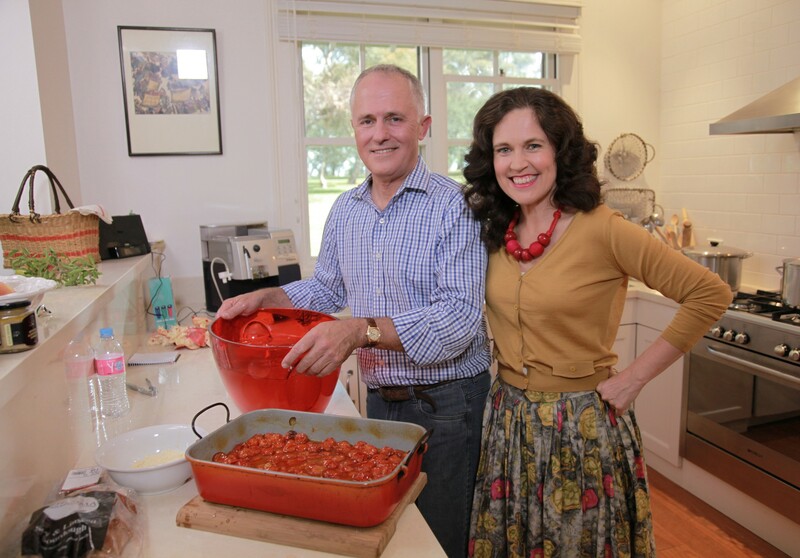 Annabel Crabb: Serial is a triumph of content. It’s what successful broadcasting and publishing has always been about — an interesting story told exceptionally well. When it comes to technology and innovation, bells and whistles can be excellent and they can really add a lot to storytelling. But to connect with people, there needs to be that human element and Serial is 100% human. The depth of the research and humanity of the people makes it really unique. Sarah Koenig (Serial Host & Producer) is so terrific at telling the story in a conversational way that includes the listener. Typically these days we use social media to include the listener so they can be active participants — but Koenig manages to do this with just her delivery. JT: I remember that part! It was exactly what I was thinking! AC: Exactly, and for the vast majority of people out there that is exactly what you would have been thinking! ‘Hang on… I don’t have a friend like that either!’. It’s a very analogue technique and helps to connects you with your audience. You see this a lot in stand-up comedy, for example. JT: Do you think this is how Serial has managed to connect with so many people all across the world? AC: I think one of the really clever things Serial has done is taken account of the sophistication of the audience. Audiences are no longer passive. And that’s what Serial does so well. We don’t know where they’re going and neither does she (Koenig) — but we’re following her on this journey. Whether he’s guilty or not doesn’t really matter. JT: Koenig openly reveals in the first episode that she spent a year of her life investigating and generally obsessing over Adnan Syed’s case. Do you think this is a great ‘here and now’ case for publishers to invest more in solid investigative journalism as opposed to innovation? AC: Phew… that’s a big question. I mean, look at what’s happening right now. The ABC is getting rid of how many journalists? It really is the ultimate tension — investing in the technology to reach people or the people who create the content. In the old days, there were a lot of studios and technicians and there was huge investment in that infrastructure. But you don’t have that anymore, most broadcasters and publishers are now selling that all of that stuff, getting rid of it. The investment now is being made in digital, and that’s fabulous! Media has always been a march towards democracy — you have to follow the people where they go. When radio began, they cried it would be the death to print. And then television came along and it would be the death to radio. But it wasn’t, instead they just adapted. JT: We read recently that JK Rowling, under the pseudonym Robert Galbraith, went to number one with her audiobook ‘The Cuckcoo’s Calling’ but her printed version wasn’t popular until she was unmasked. Do you think that there is a special power behind hearing something as opposed to reading it? AC: That’s interesting. I guess that might be true for some books, but obviously not for all. It can really come down to who is doing the reading, the voice that you’re hearing. Personally what I like about podcasts and listening to things is the fact that they use just enough senses to do something else. So when you’re listening to a podcast or an audiobook, you’re still able to do something else — cook a meal, catch the bus, go for a walk. If you’re reading something you need to give that 100% of your attention, but listening to something still allows you to do other things. Time is the one thing we’re all in short supply of. So it has this blessed effect on things that would have otherwise been a chore. That long train ride, ironing the laundry — it can make these things a pleasure. And that can be a really transformative thing in our lives, the ability to make those mundane things a pleasure. JT: You’ve recently launched your own independent podcast “Chat 10, Looks 3” with fellow ABC marvel and host of 7.30 Report Leigh Sales to rave reviews. What was the motivation behind starting it? AC: Well I met Leigh through working at the ABC and I genuinely find talking to her is like a research project — you discover all of these new things you haven’t heard of before! In fact she was the one who put me onto Serial! Leigh will often share a list of 10 things to read each week, and it’s fantastic because you always come away with something that you’ve never seen before. This great mixture of short reads and long reads — I honestly don’t know how she finds the time. So there we were, just chatting on air for nearly 90mins while this leadership battle is playing out, trying to fill in the time [laughs]. But it was really well received, people seemed to really like listening to us together. So after that we’d chatted about a way to do something together. It (Chat 10, Looks 3) is really just a great excuse for us to spend spend time together. JT: I love the fact that it’s done independently, it feels as a listener like we’re actually listening to you chat at your kitchen table. What was the motivation to do it that way? AC: I think because it allows us to just see where it goes. If we’d have done it through the ABC or something else it would have become a bigger deal — even just finding the time to go into a studio and produce it. It’s nice that it’s not polished and just allows us to spend 30 minutes chatting. But even finding that time is tricky to be honest. JT: You’ve achieved so much over the past 15 years and have managed to carve out this incredible career across so many mediums — print, radio, TV, social, etc. What do you think will be the major shifts to traditional media in the coming years? AC: Wow! I think that question is above my pay grade [laughs]. Well, I think that the most disruptive change that has happened to media is the splintering of audiences and the shattering of the business model. I mean, think about that business model — media and advertising operating as this slavish trust. Can you imagine trying to explain it to someone from outer space? “So you pay 50c to get the newspaper, but the production of it is actually paid for by the advertisers.” It’s a really weird idea. Readers used to be prisoners because they had to still buy the newspaper before they knew what was in it. But now they can cherry pick, a little from here, a little from there. They don’t even need to pay for it anymore — they can just go somewhere else and get it for free. So there has been this entire unpackaging of media as a product over the past few years. And even with all this innovation and technology, that initial problem is still there, we haven’t solved it. But it’s not all a terrible disaster. The media is full of smart people who are inquisitive and love telling stories and solving problems, so I think there’s a bright future ahead. When she isn’t wasting her time watching live surfing streams from all corners of the globe, Jen Tucker is busy being Deepend’s Strategy Director. She’s terrible at Twitter, so connect with her on LinkedIn instead. Design by Deepend’s Digital Designer Elliot Midson. Hit him up on Dribbble or his website for more of his stuff. Innovative design, digital strategy & creative solutions. At Deepend Group we’ve been thinking a lot about how publishing has changed in the wake of the digital revolution. Our Indepth team talked to experts from all walks of life about the past, present and what to expect in the future of digital publishing.